올해 부산국제단편영화제는 2010년 아시아에서 국제로 영역을 넓힌 이후, 지난 6년 동안 매년 조금씩 다듬어 갔던 각 섹션의 영역을 보다 분명하게 경계 짓고, 더욱 견고하게 구축해보고자 노력했습니다. 우선 작년부터 시작된 경쟁부문의 이원화를 통해 더욱 다양한 작품들을 품어 안게 되었습니다. 국제 및 한국경쟁, 두 부문에서 치열한 경쟁률을 뚫고 올라온 이들 단편들은, 소재면이나 형식면에서 고유한 가치를 지닌 차별적인 작품들로, 세계 단편영화의 흐름과 한국 단편의 면면을 폭넓게 보여줄 것입니다. 올해도 아시아 작품들에 특별한 애정을 가지고 지켜보았습니다. 그 결과 아시아 작품들은 주요 소개 창구인 ‘아시아 단편’ 외에, ‘국제경쟁’, ‘클로즈 업: 애니메이션 특별전’, ‘패밀리 단편’ 등 여기저기에 스며들어, 각 섹션을 고유한 색깔로 수놓으며 더욱 빛을 발하고 있습니다. 또한 ‘주빈국 프로그램 오스트리아’를 그 어느 해보다 원래 취지에 부합하도록 구성하였습니다. 다양한 프로그램들 중 특히 ‘오스트리아 실험영화’와 ‘오스트리아 음악영화’ 섹션은 오스트리아 국가가 가진 유구한 음악적 전통과 피터 체르카스키나 피터 쿠벨카 같은, 전 세계에서 가장 전위적인 실험 영화 정신을 소개할 좋은 기회가 될 것입니다. 더불어 ‘영화를 통한 그 나라의 문화와 예술로의 여행’을 위한 훌륭한 길잡이가 되어 줄 것입니다. 이외에도 내년 건국 150주년을 맞이하는 차기 주빈국 캐나다의 다채로운 단편들을 맛볼 수 있는 ‘프리퀄 오브 캐나다’, 최근 장르적 도발성과 그 다양함을 한 눈에 볼 수 있는 ‘클로즈 업: 애니메이션 특별전’, 동시대 세계 단편영화의 경향을 살펴보기 위해 마련한 ‘커튼 콜’, 온 가족이 함께 즐길 수 있도록 준비한 ‘ 패밀리 단편’ 그리고 국내에서 접하기 힘든 북유럽 단편 영화들과의 지속적 만남을 갖기 위해 신설된 ‘웁살라에서 온 짧은 편지’ 등은 각각 섹션 나름의 독특한 향과 맛을 보여주면서 단편영화만의 고유한 매력을 선사할 것입니다. 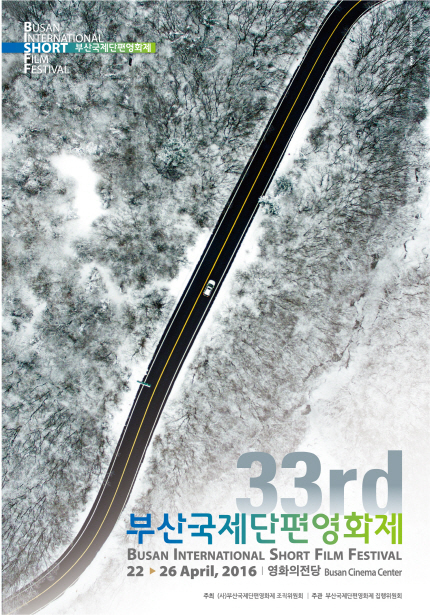 This year, Busan International Short Film Festival tries to clarify the boundary between each section which has been refined for past 6 years after broadening the territory from Asia to world-wide in 2010, and to build the section more firmly. First of all, we can get to embrace more various films through dichotomized competition section since last year. These short films in International & Korean competition which are selected after intense competition are distinctive works having indigenous value in aspect of theme or style. They will show the tendency of world short films and various sides of Korean short films widely. As always, we pay attention to Asian films with great affection this year. As a result, Asian films pervade most of sections including “International Competition”, “Close Up: Animation Special”, “Short for Family” as well as “Landscape of Asian Shorts” which is the main window for Asian short films. Then, they are shining in each section embroidering with their own unique colors. Also, we try to organize “Guest Country Austria” program to fit within the purpose initially designed. Especially, “Austrian Experimental Shorts” and “Austrian Music Shorts” will be the great chance to introduce the ancient tradition of Austrian music and the spirit of experimental film that is one of the most avant-garde in the world like Peter Tscherkassky or Peter Kubelka. In addition, it will be the excellent guide for ‘The trip to the culture and art of the country through the films’. Besides, there will be “Prequel of Canada” to taste colorful short films of Canada, the next guest country which will celebrate its 150th anniversary of its national founding next year, “Close Up: Animation Special” to see the current daring attempt in genre and its diversity, “Curtain Call” for observing the tendency of contemporary world short film, “Shorts for Family” to have fun for the whole family, and “Short Letter from Uppsala” newly created to sustain the meeting with the short films from Northern Europe which are very hard to see in Korea, and so on. They would present peculiar charm of the short film showing each section’s own unique scents and tastes.